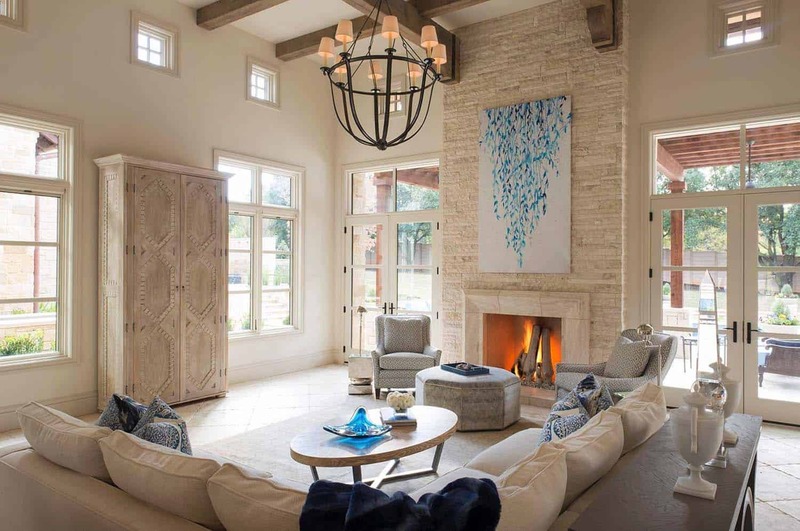 This Tuscan style home with modern, clean lines was designed by Simmons Estate Homes, located in Southlake, a suburb of Dallas-Ft. Worth, Texas. 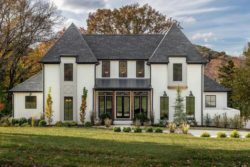 A beautiful stone clad exterior makes this two-story home very inviting, while the surrounding landscape offers fantastic curb appeal. 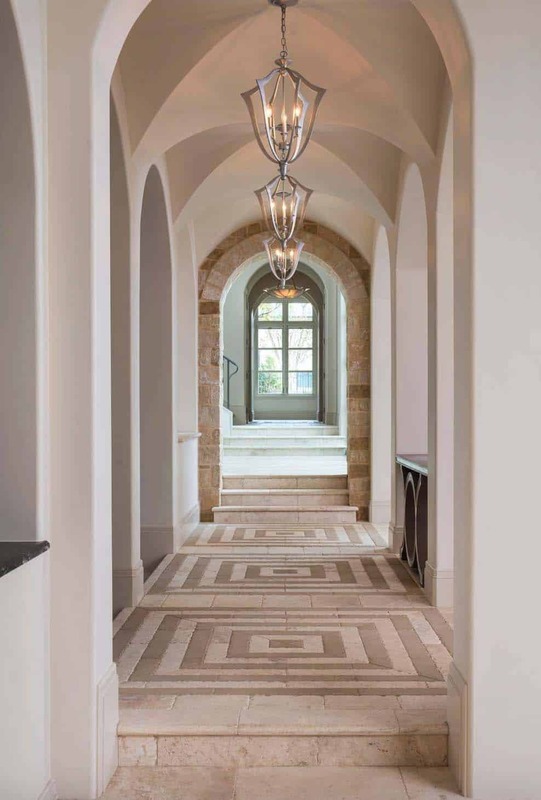 Stone steps leads visitors up to the grand entryway, an arched window, which adds a timeless appeal and unique aesthetic to this home. 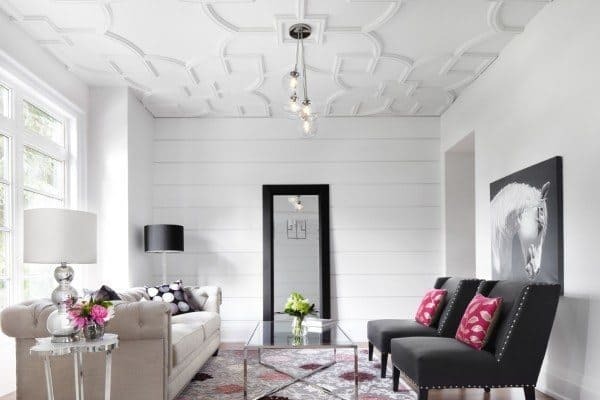 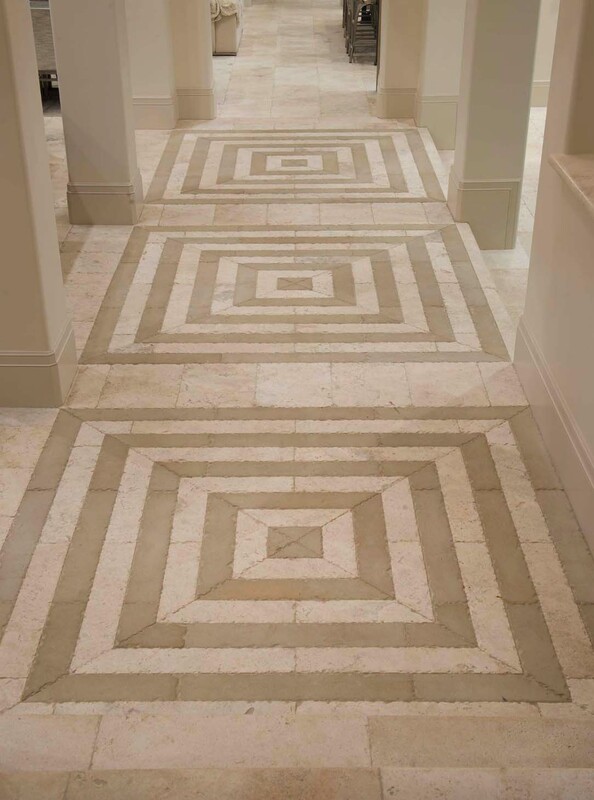 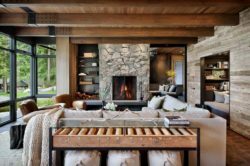 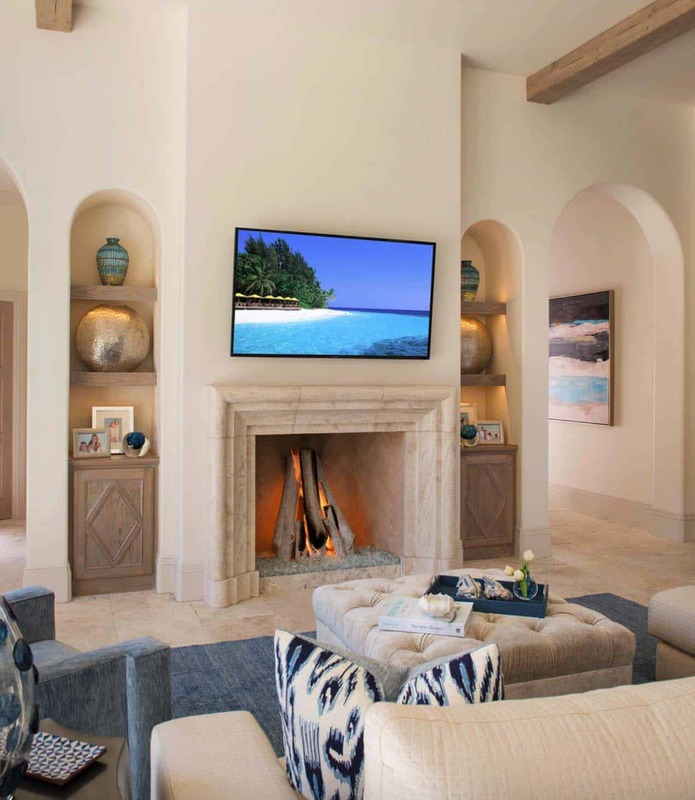 The interior designers responsible for this project are DeLeo & Fletcher Design. 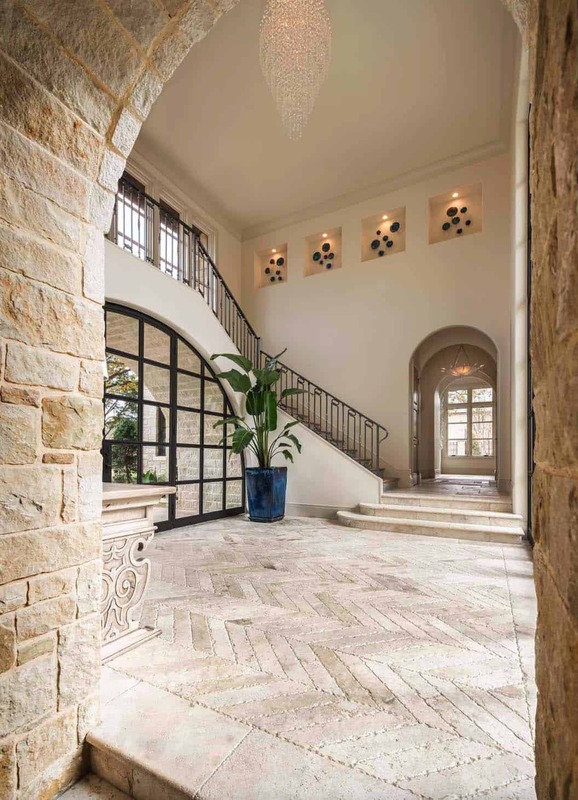 Above: The entryway into the home features soaring ceilings with natural stone walls and an exquisite chandelier. 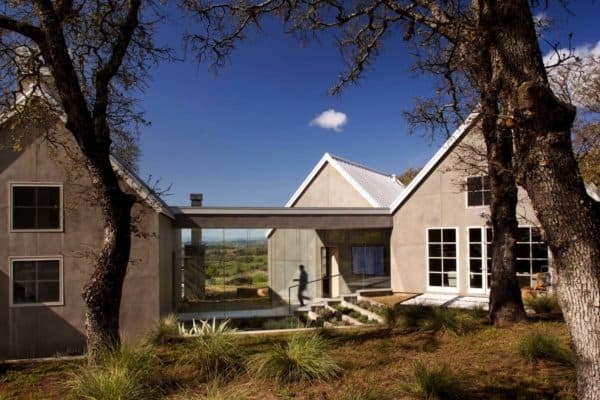 Helping to illuminate the space with natural light is steel framed windows on either side. 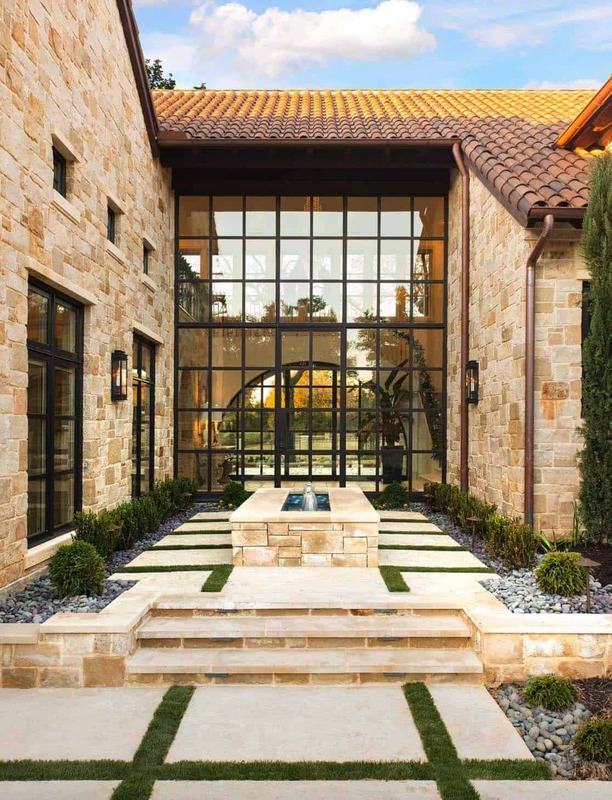 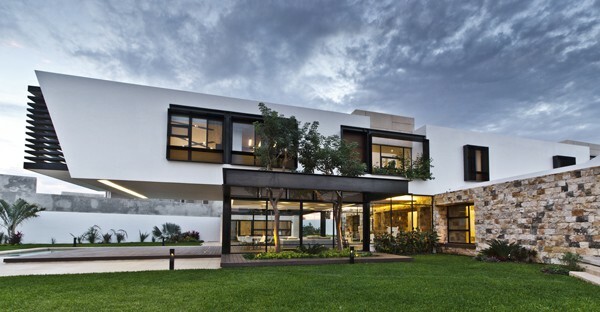 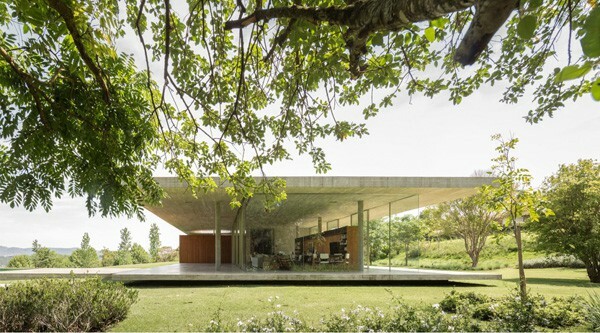 Entering into the home, you can see right through to the backyard — creating a seamless indoor / outdoor connection. 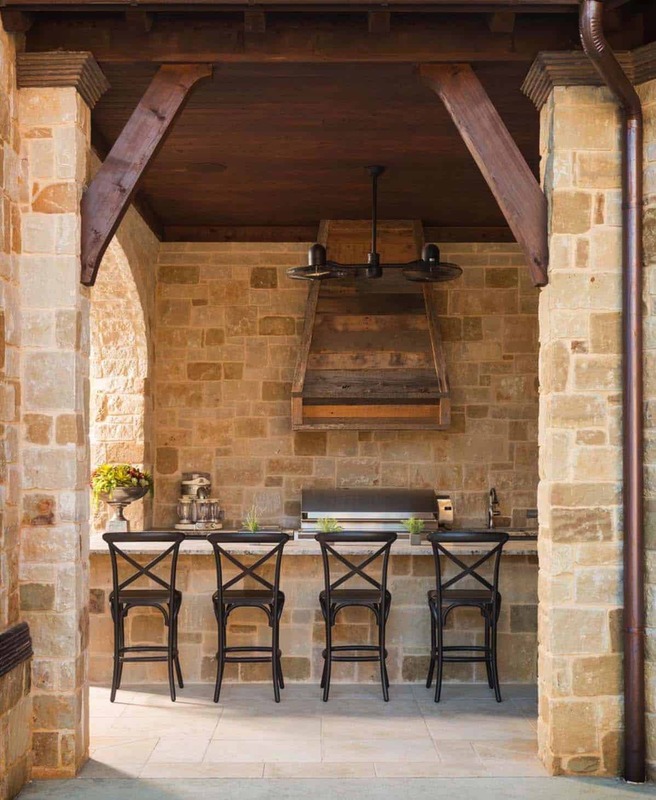 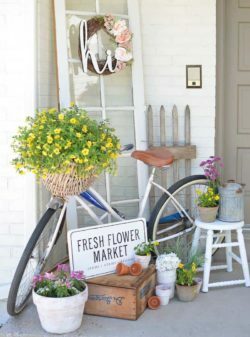 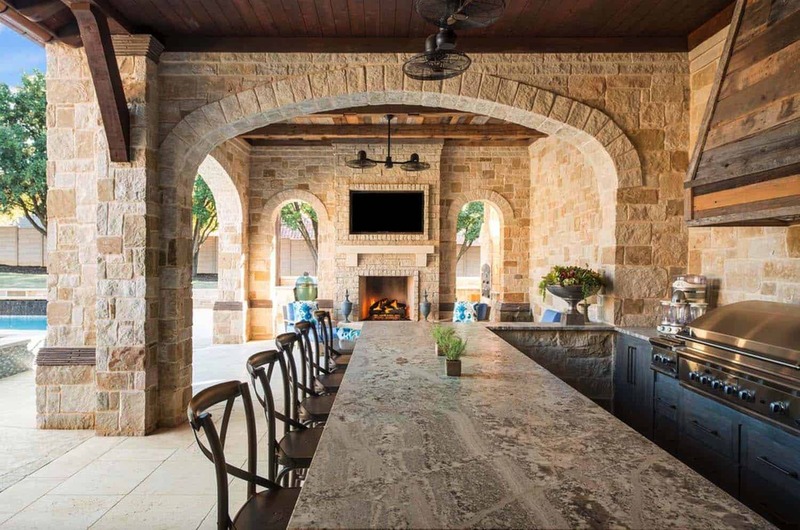 What We Love: This Tuscan style home offers gorgeous and timeless interiors with an equally exquisite outdoor atmosphere. 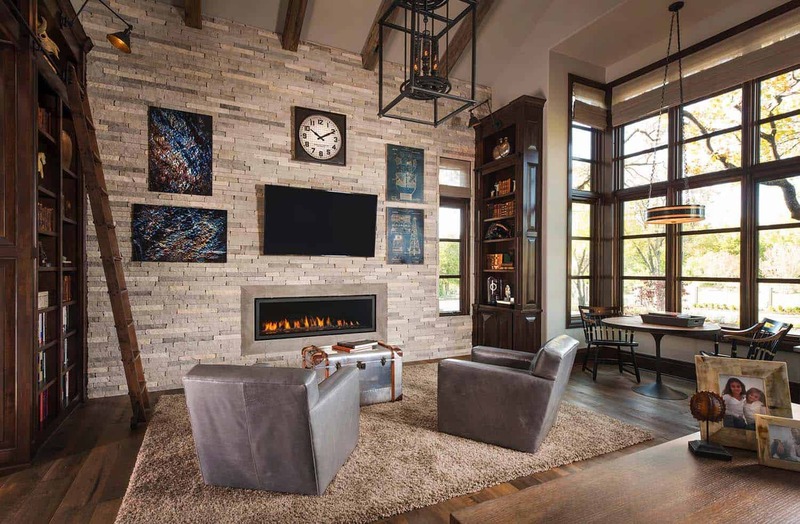 The interior living spaces are perfect for both family living and entertaining, with refined details that are light and airy. 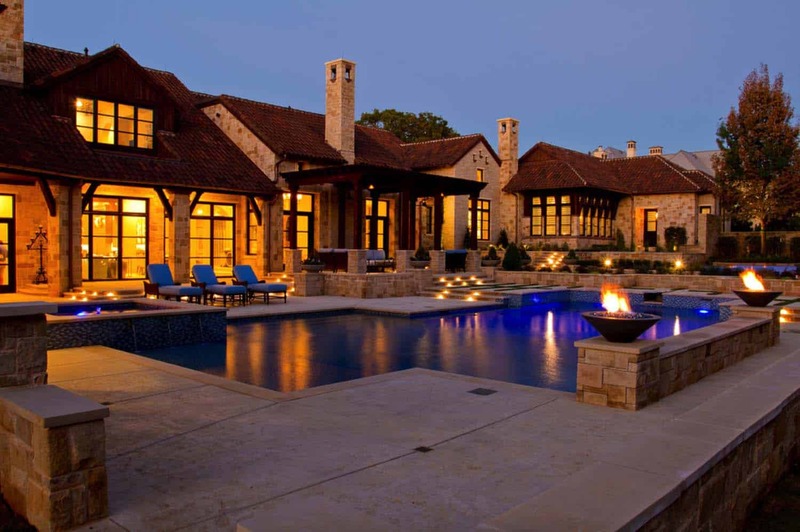 On the outside you will find an expansive swimming pool and comfortable lounge spaces, along with a fabulous outdoor kitchen and dining area… Readers, what do you think of the design of this home? 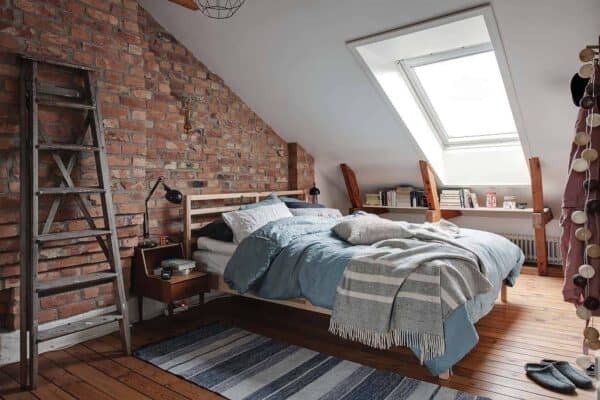 Are there any details you would like to have seen done differently? 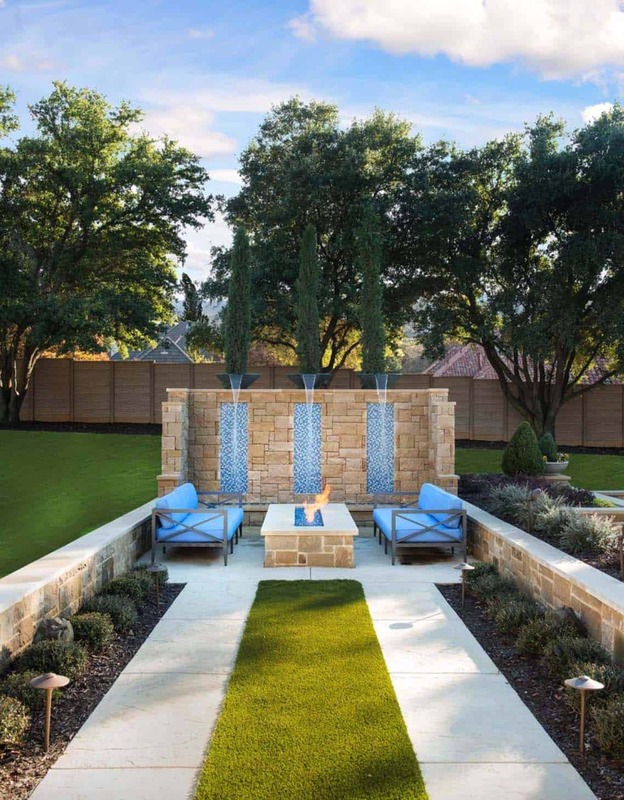 Please share your feedback in the Comments! 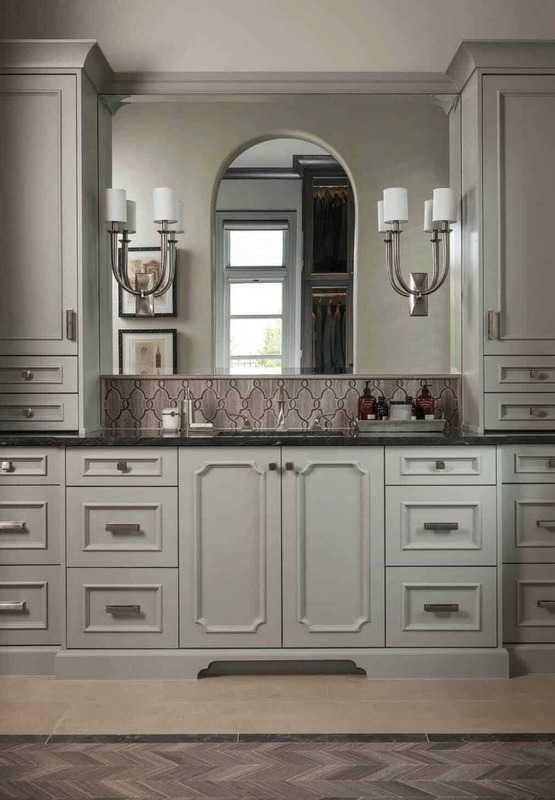 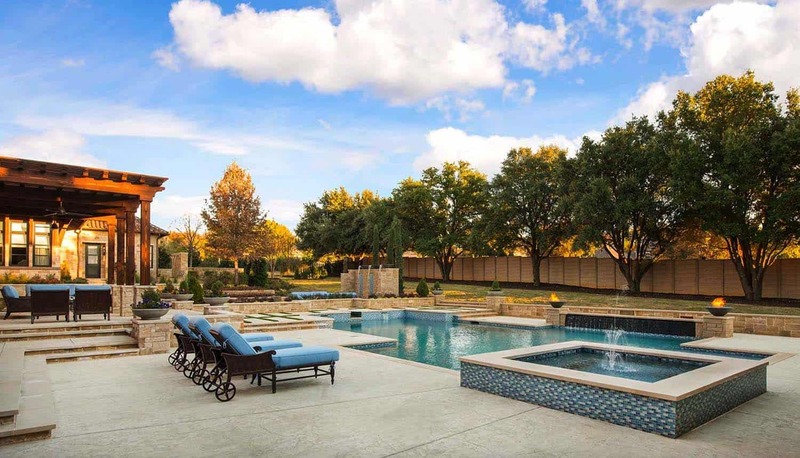 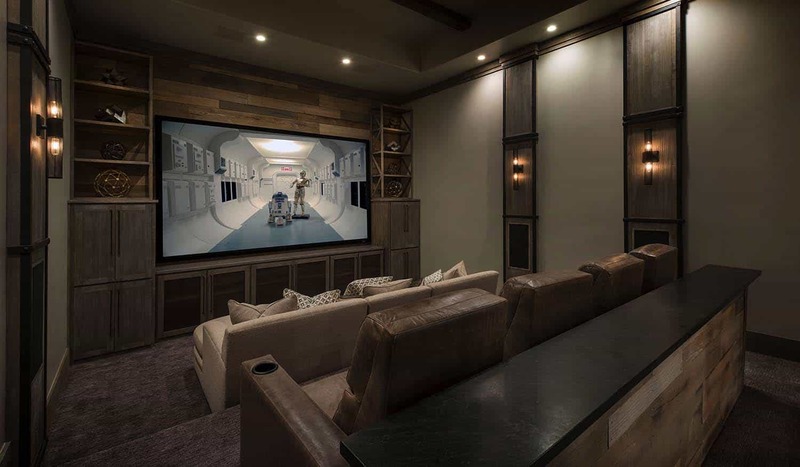 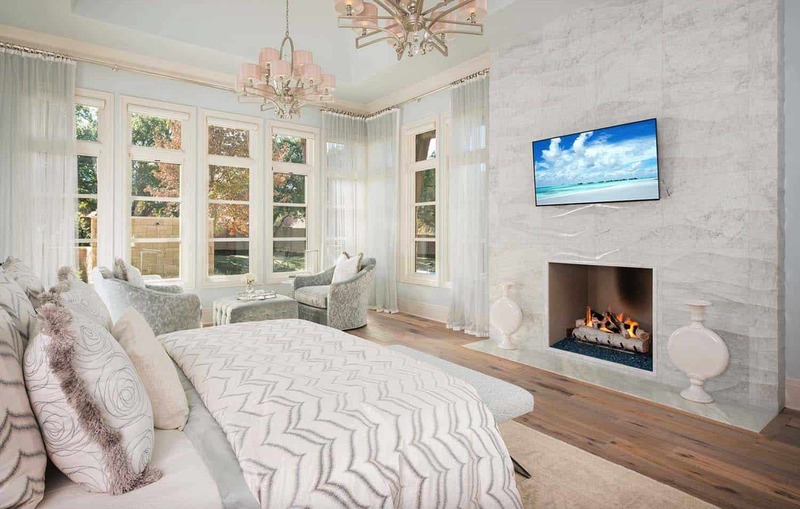 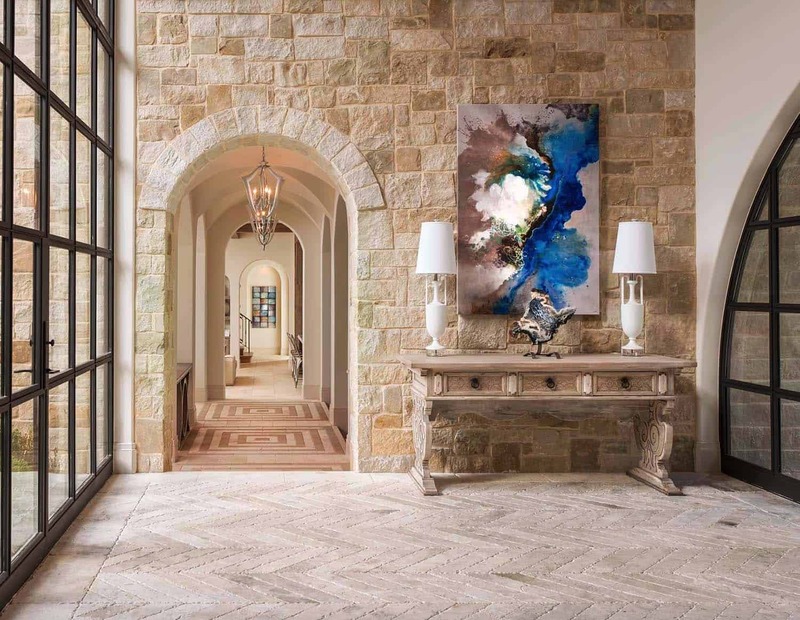 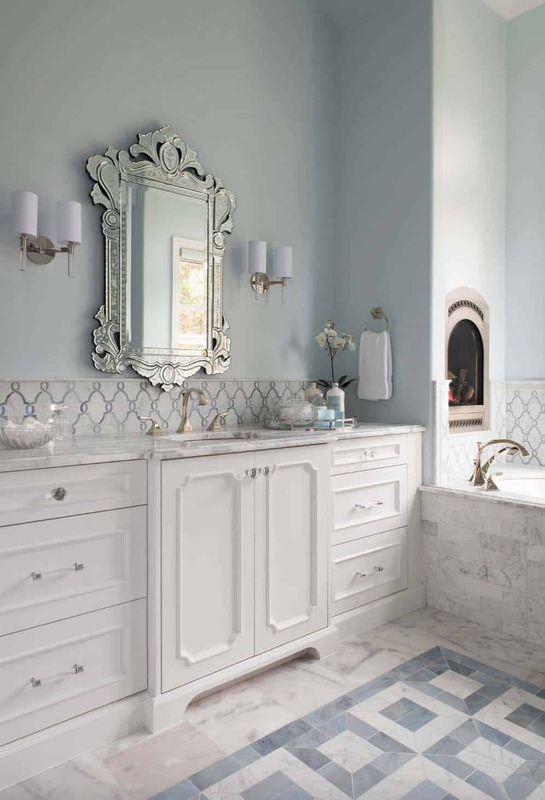 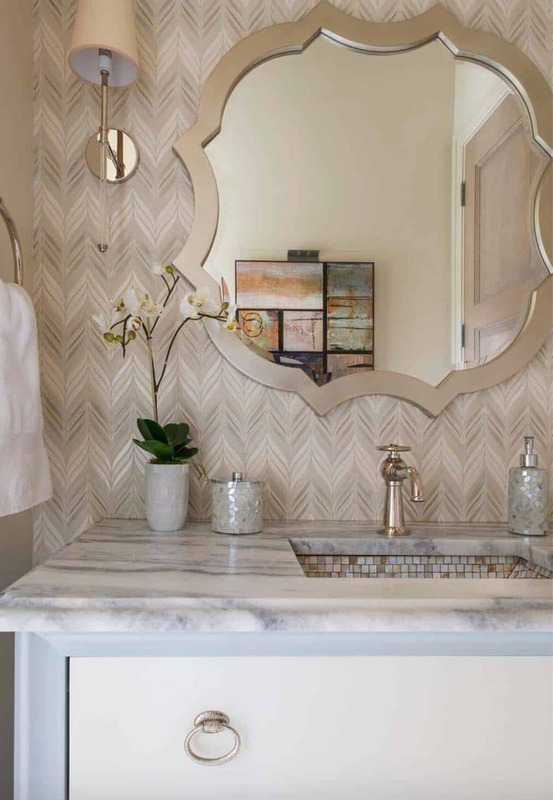 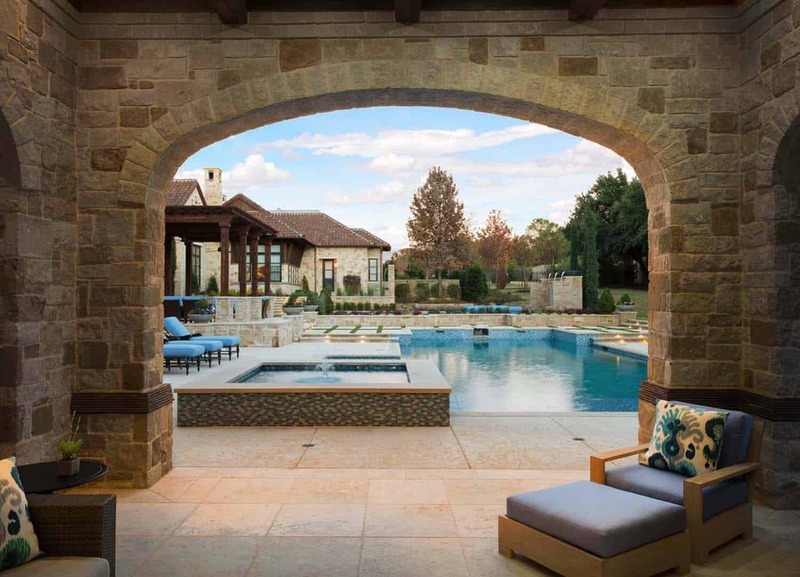 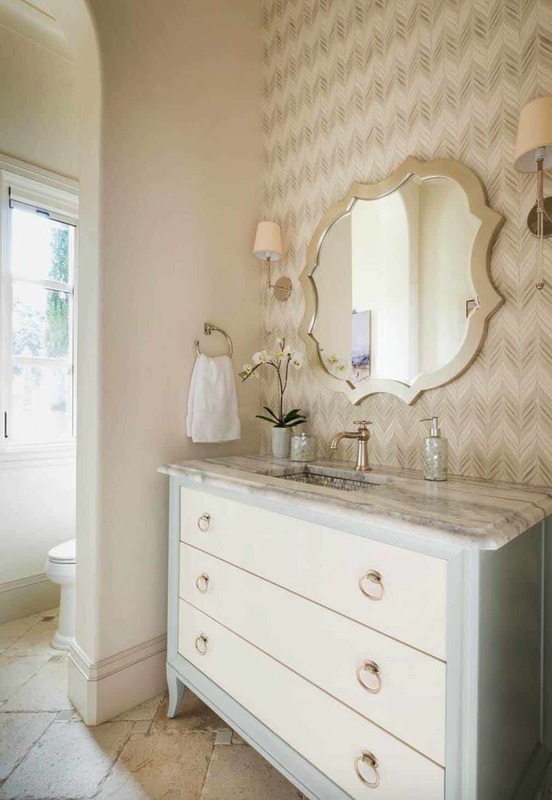 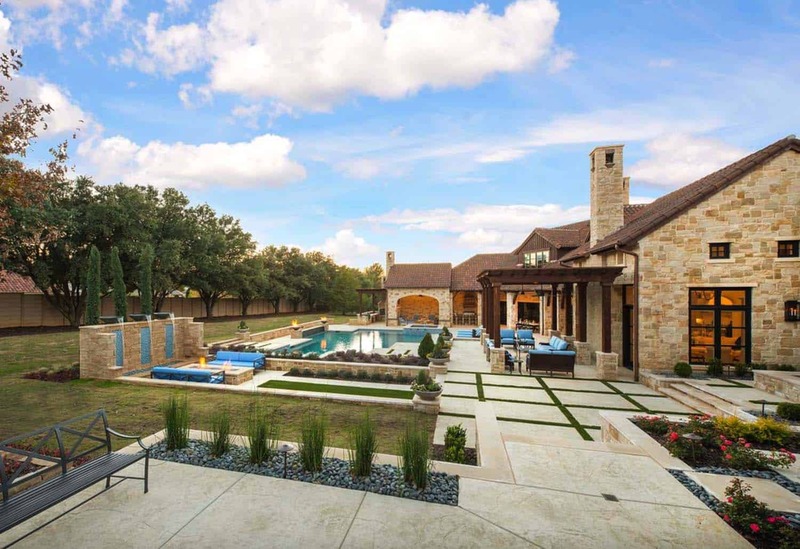 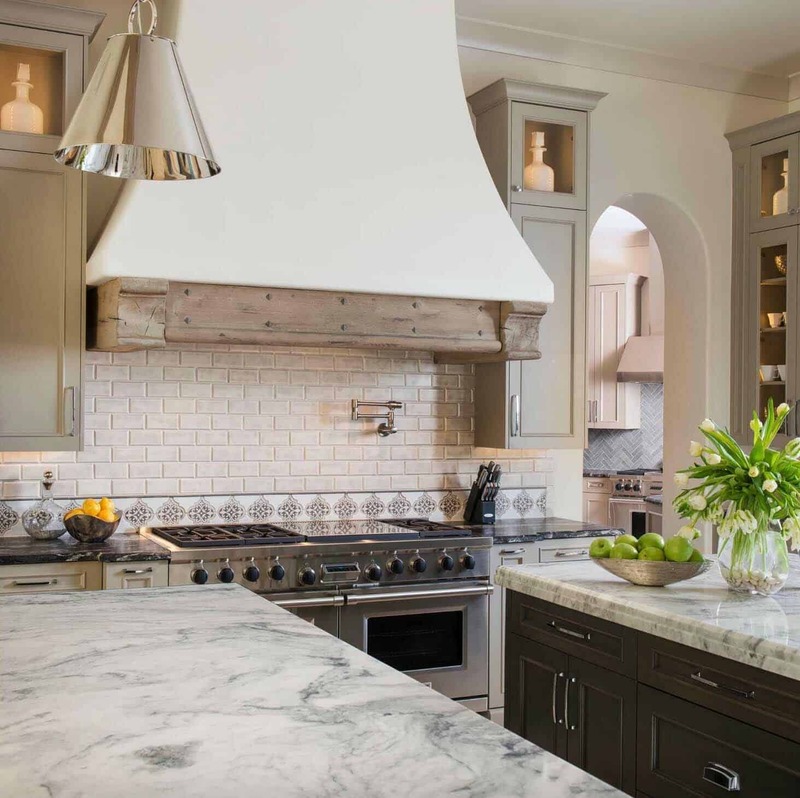 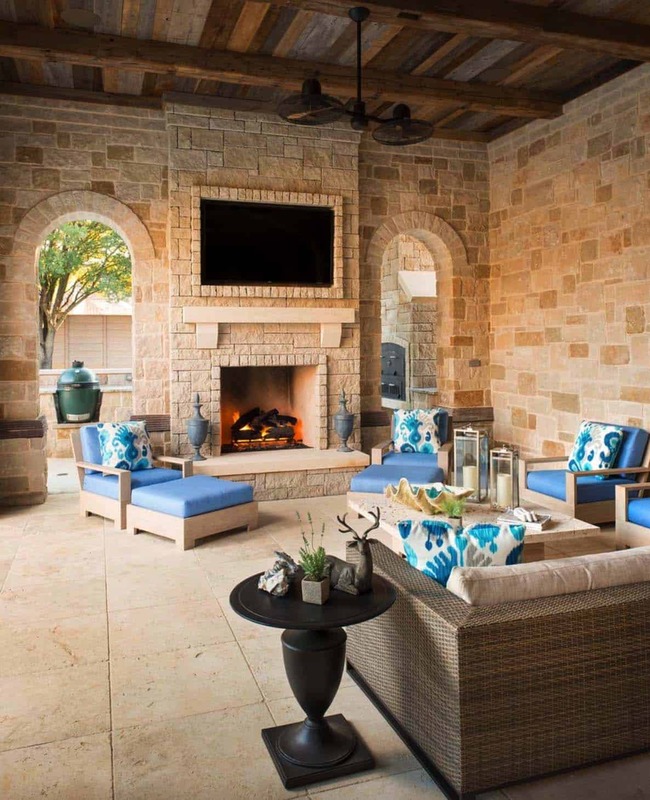 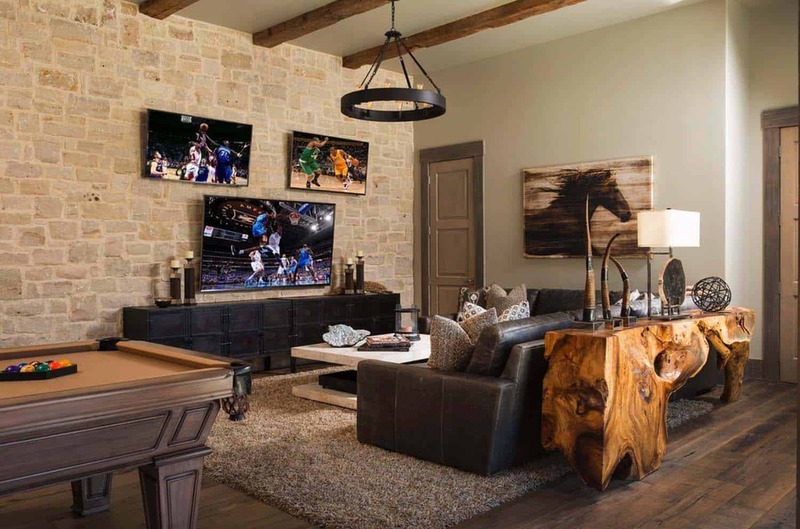 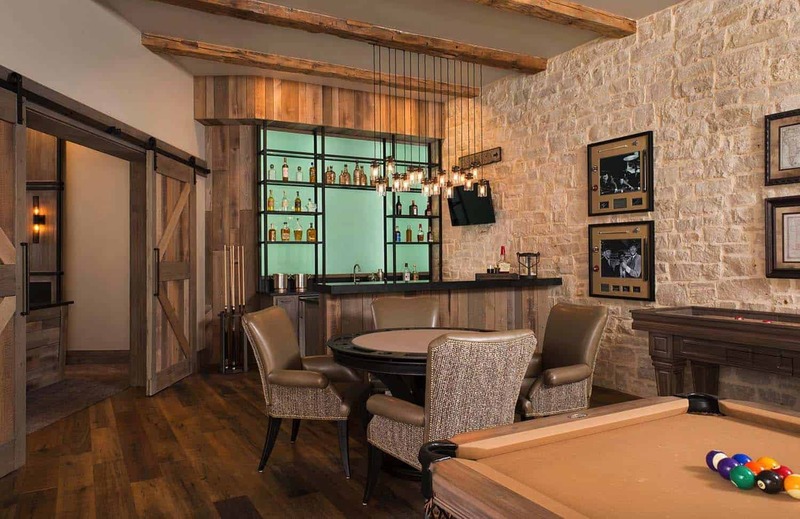 Note: Have a look at a couple of other inspiring home tours that we have featured here on One Kindesign from the portfolio of Simmons Estate Homes: A French chateaux style dream home in Southlake, Texas and Gorgeous stone clad home with elegant interiors in Southlake, Texas. 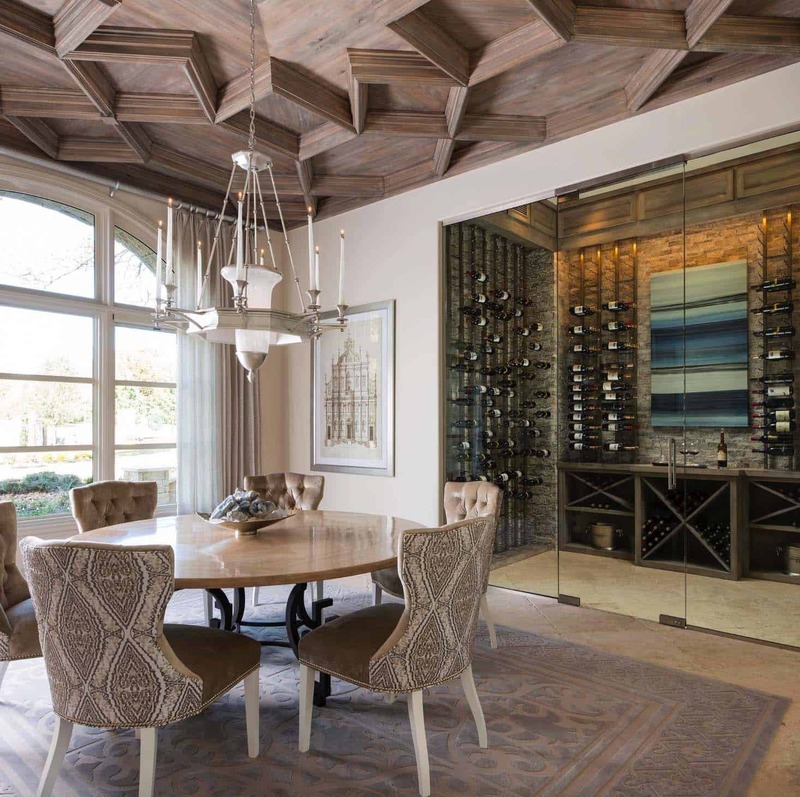 Above: A formal dining room features a glass enclosed wine cellar and an exquisite coffered ceiling. 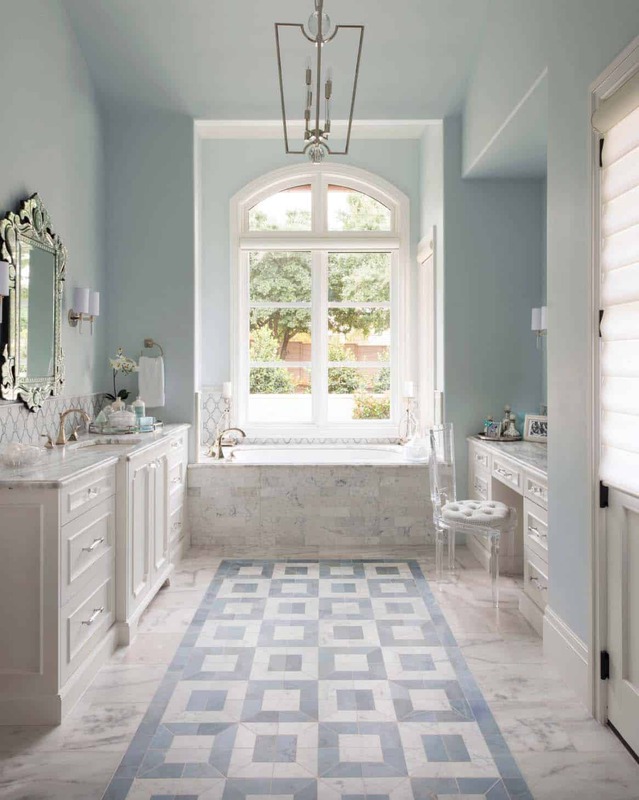 A textured area rug helps to ground the space. 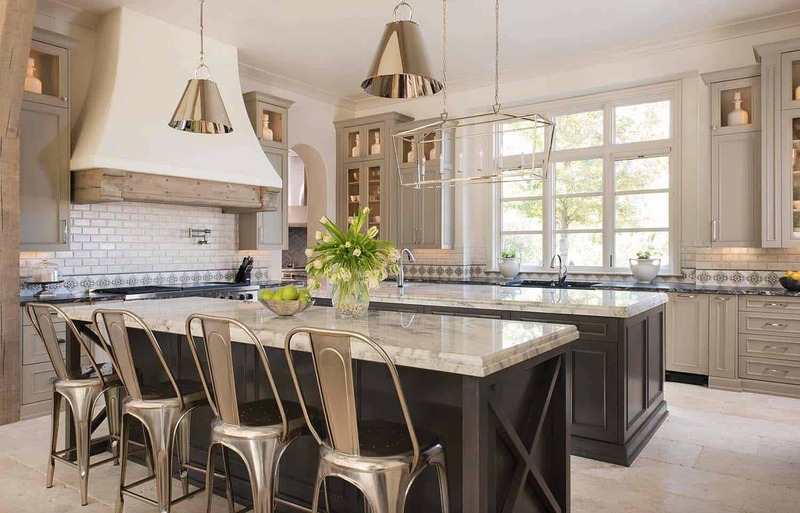 Above: If you look closely at the perimeter of this massive kitchen, you will find a granite unlike any other — Black Cosmic Brushed — sourced from Aria Stone. 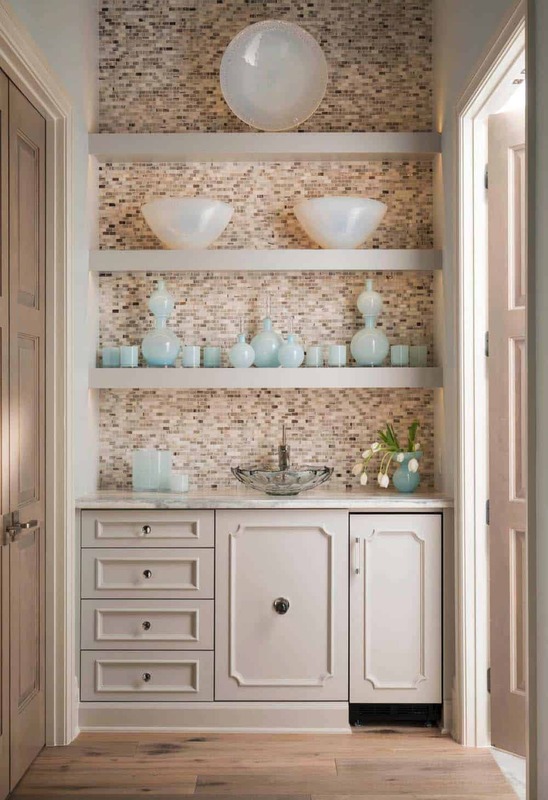 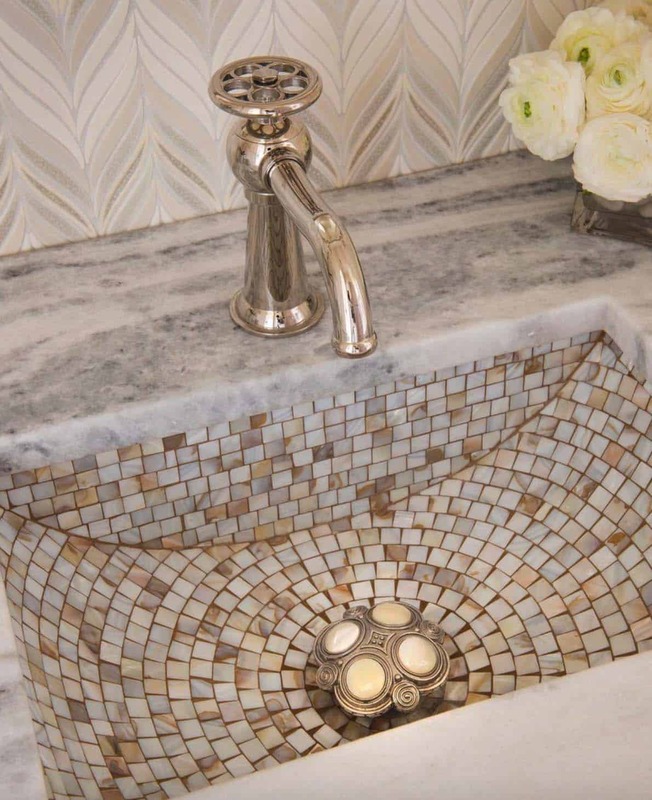 This textured and sparkling stone makes a durable and fashionable statement, adding contrast to this bright space.